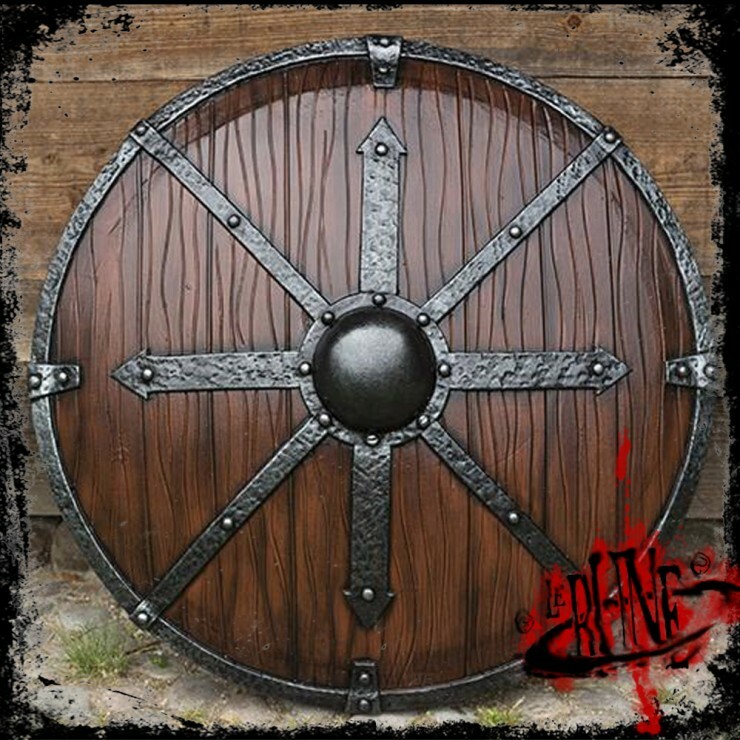 Krom Shield is a round latex shield inspired by early pre-10th century vikings and Saxons. 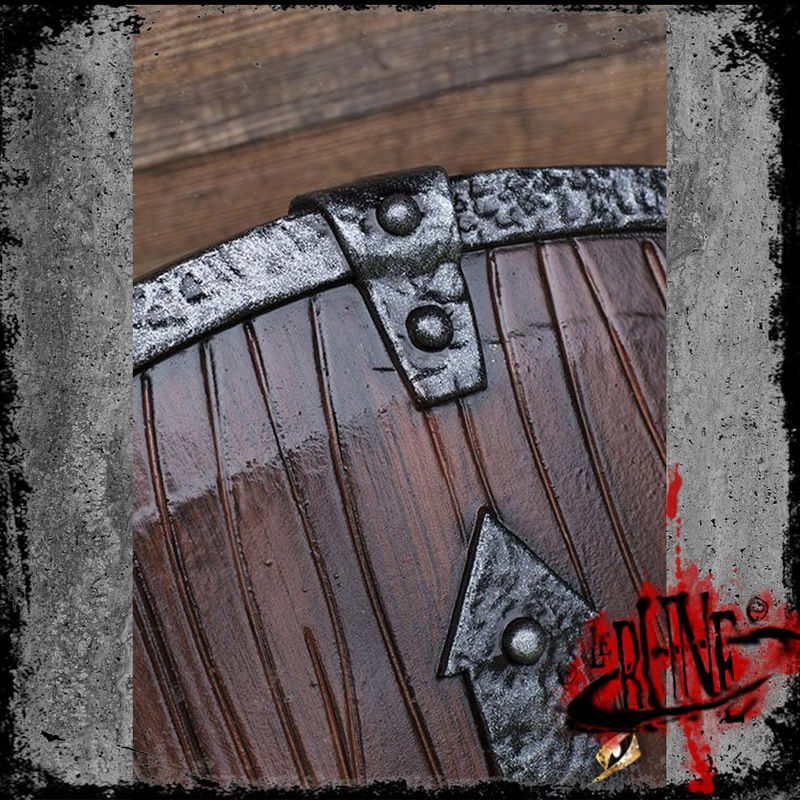 With a wooden texture and wood and iron paint finish, this shield is sure to impress your fellow warriors on the battlefield paired with a Viking Axe. Its slight convex shape and iron boss on the front is sure to give you an edge in combat. Its laser cut details create a realistic iron brace across the wood-textured shield, giving you an impressive aesthetic look. 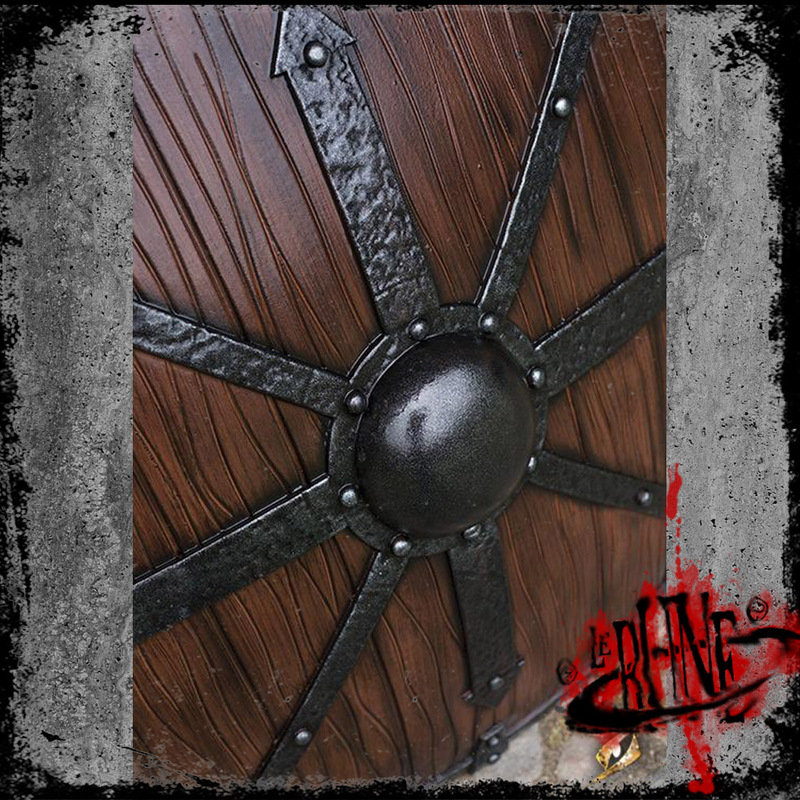 Featuring a reliable and comfortable punch-grip, feel confident that this hard EVA foam and latex shield will withstand the continued abuse of a LARP with regular latex maintenance. Defend against your enemies and make this Krom Shield a part of your epic fighting style.